Employers with Dept. 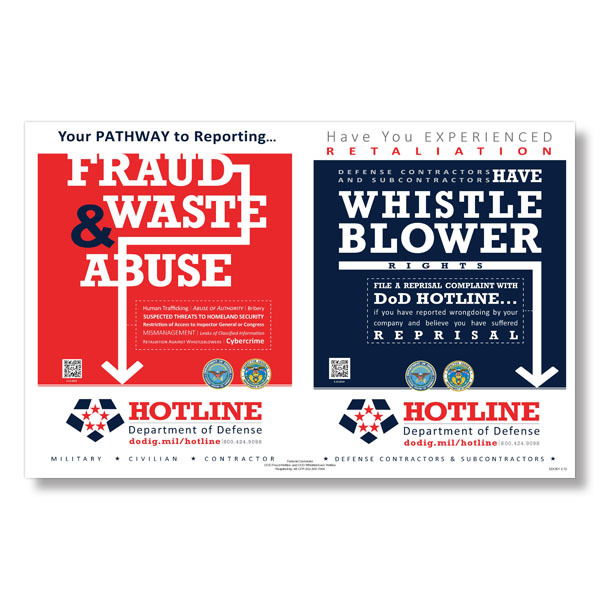 of Defense (DOD) federal contracts (exceeding $5,000,000) are required to display these labor law compliance posters. 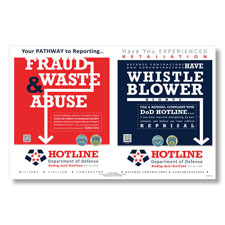 Display the inspector general’s fraud hotline posting in common work areas to keep your defense contracts valid. * 100% Compliance Guarantee: To qualify for reimbursement, the fined location must demonstrate that it used the service properly for remote workers and submit a request along with a copy of the citation and proof of amount paid within 10 days of payment. This guarantee is valid for the term of your paid Poster Guard protection and has no maximum reimbursement limit for qualified government fines.